After their poignant, breathtaking performances of a few arias from La traviata, soprano Venera Gimadieva, tenor Joshua Guerrero, and baritone Lucas Meachem sat down with the Maestro Renato Palumbo in the intimate space for a discussion of Italian opera. To experience such faultless, strong voices in the presentation room was uniquely moving, and revealed the true talent of the cast. 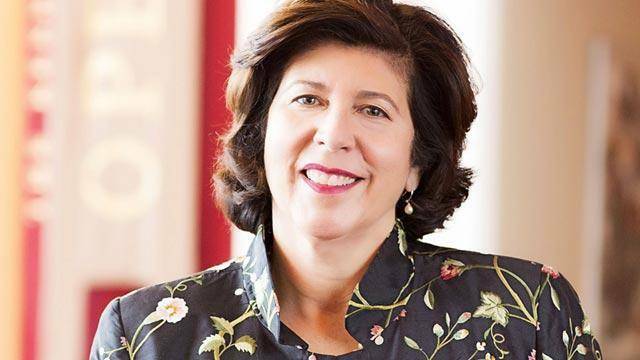 Internationally recognized director of opera and theater, and WNO’s Artistic Director of La traviata, Francesca Zambello began the night by invoking the history and social context within which Verdi wrote the timeless, classic opera. As she noted his political commentary on the role of class in society, and described the perfect balance between music and heart-rending lyrics, it was clear an ongoing dialogue between Zambello and the now mythical figure of Verdi had guided the performance to be the success that it is. For those who are not familiar, La traviata means “the fallen woman” or “the one who goes astray,” and refers to Violetta, the protagonist. As a courtesan, Violetta indulges in the high-class pleasures of music, poetry, and magnificently outrageous parties, toasting to life alongside wealthy men. However, she is secretly dying. The affluent Alfredo confesses his love for her, and the couple escapes to the countryside. Alfredo’s father, skeptical of the match due to Violetta’s low social status, convinces her that the best way to show her love is to let Alfredo go, and protect his reputation. Violetta leaves Alfredo, to his great dismay, and eventually dies married to a man she does not love. The lavish set design by Peter Davidson and turn-of-the-century Parisian costumes by Tony-Award ®-winning designer Jess Goldstein make this production of one of the most popular operas truly unique. Zambello shared images of the final set and costume designs for a behind-the-scenes look at what the audience could expect at the Kennedy Center starting on October 6. “Thank you, Italy, for Verdi, Rossini, and Puccini. Thank you for keeping us [WNO] in business.” She credits the countless Italian opera composers for the big, dramatic, romantic tragedies most audiences crave in an opera. Most importantly, she credits them for their humanity, an aspect of Italian classical music that drew Maestro Renato Palumbo to La traviata as well. Italian operas make up at least half of WNO’s productions each season. Giuseppe Verdi specifically has been a source of inspiration for musicians and music-lovers for generations. Maestro Palumbo has conducted productions of La traviata going back some 37 years, he confessed to the audience. Yet he never tires of the masterpiece. He references Verdi almost like a father figure, who teaches him something new every time Palumbo is a part of a La traviata production. While rehearsing at the Kennedy Center, he realized the beginning of the opera hints at what will happen at the end, even musically. The white, cold sanatorium set design, where Violetta lives out her final days, opens and closes the show. In both scenes, the music is the same, it is just in a different key. The first act starts with a “strong, rude tone,” suggesting the calamitous conclusion, and the final act starts with the same score in a different key, with a “sweet, realistic tone” that conveys Violetta’s melancholic acceptance of her fate, as “she enjoyed every moment, since every moment she knew she would die,” according to Maestro. Palumbo has conducted operas in the most important international theaters, such as Teatro alla Scala in Milan, Covent Garden in London, Liceu de Barcelona, Berlin Deutsche Oper, and La Fenice in Venice. An audience member asked if he approaches relating to American audiences differently than Italian and European audiences. “Coming to the opera, you think to be an Italian in Italy,” Palumbo mused, especially for a famous show like La traviata. “To be like an Italian, Verdi helps us. In the end, music is music, the soul is the soul. We are all brothers under Verdi,” one global audience in awe of the humanity in his euphonious musical score. “The only difference is who reads the subtitles,” he joked. Venera Gimadieva (Violetta), Joshua Guerrero (Alfredo), and Lucas Meachem (Giorgio) studied opera in different places around the world, yet each school required Italian language and Italian diction classes. The three performers developed an enjoyment of Italian opera in their studies, but admitted learning the language was not easy. Gimadieva, “the new voice of Russia” whose performances as Violetta have earned sensational reviews, admitted that she struggled through proper pronunciation at first. The instruction she received from La Fenice in Venice ingrained the correct pronunciation into her voice, and was necessary for her stellar execution of the role at the esteemed theater. Grammy award winner Guerrero said that his mother tongue, Spanish, both helped and hindered him, but also noted it takes a long time to memorize an opera to begin with – La traviata, about six months. Also a Grammy award winner, Meachem is from North Carolina, and had to work through a slight accent to speak Italian well. The trio praised and thanked Maestro Palumbo. 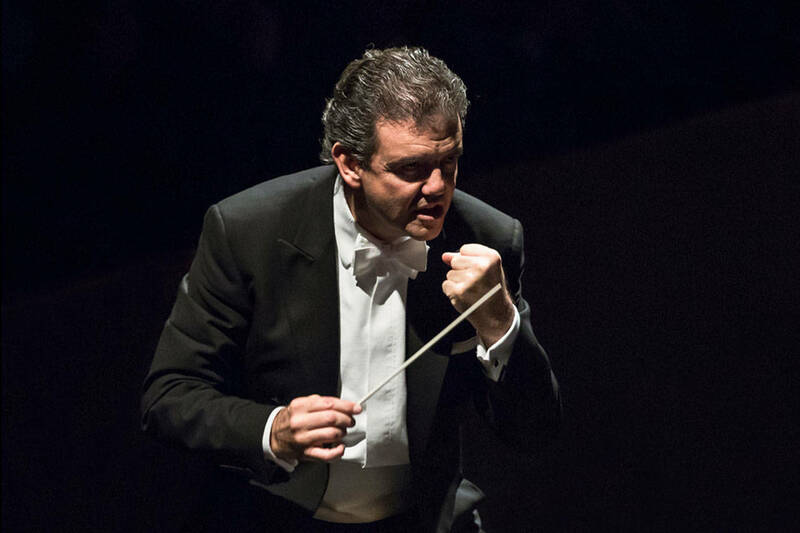 Working with and learning from him, as an amazingly accomplished Italian conductor, is being truly immersed in the essence Italian opera, “directly from the source,” according to Guerrero. 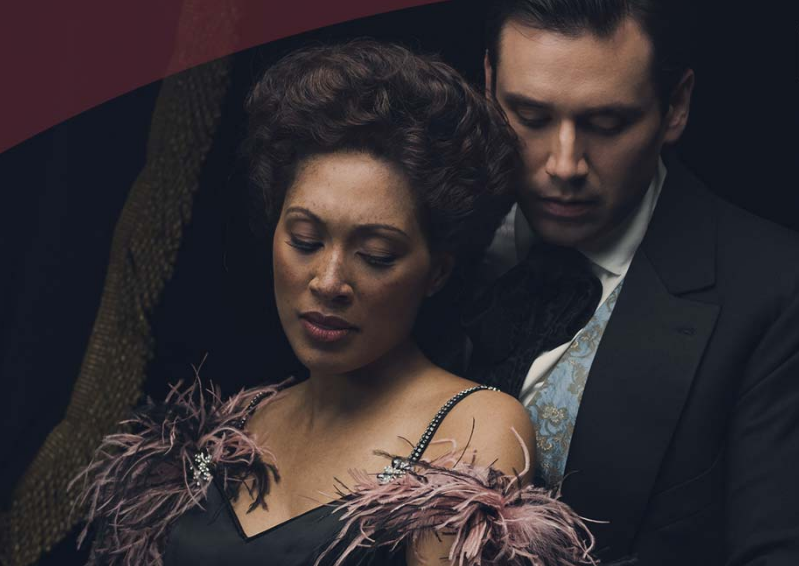 La traviata will run at the Kennedy Center from Saturday, October 6 to Sunday, October 21.